December 18 will be a great day for everyone in the U.S. who drives on the interstates, highways and even local roads. It’s the day the Electronic Logging Device (ELD) mandate goes into effect. On that day, the roads will be safer, finally. Yet, the trucking industry and its lobby groups strongly oppose the ELD mandate. They’ve invested a whole lot of money and time fighting it. It tells us, perhaps not surprisingly, that trucking industry leaders are more focused on worshipping the almighty dollar than ensuring the safety and well-being of your family, friends and even the truck drivers they employ. Frankly, the behavior and the arguments they’ve put forth in opposition to the ELD are almost criminal. The mandate requires an electronic logging device be hardwired to a truck’s engine to track and log a truck driver’s hours of service. It replaces the paper-based time-tracking method that began in the 1930s. It promises immense benefits to anyone who uses the road, truck drivers and yes, even trucking companies. What are the Benefits of the ELD? The safety benefit of the ELD cannot be understated. It will prevent the “fudging” of driver logs to hide those instances when a truck driver exceeds safe driving hours. Seriously, would anyone feel comfortable knowing they’re on the road with a driver whose been driving 10-20 hours just to deliver a load? This happens more often than anyone wants to imagine. The FMCSA (Federal Motor Carrier Safety Administration) says the ELD will save about 25 lives and prevent 500 plus injuries annually. As someone who lives in the industry and has been both a shipper and a logistics provider, those numbers sound low. I mean real low. You could probably add several dozen lives saved and add a zero to the number of injuries the ELD will prevent! But even if it were just one life saved annually, wouldn’t it be worth it? And those figures don’t account for the benefits to truck drivers. First, they won’t have to destroy their health through lack of sleep and the drugs many have turned to in an effort to stay awake and alert. From a professional view, it will also reduce time spent with paperwork allowing them more road time during “work hours” which will make them more efficient. It will also improve communication between them and the dispatcher, a huge boon to trucking companies’ customer service departments. The argument begins and ends with money. Transportation companies say the elogs will mean higher transportation costs and more expensive goods to the consumer. Are they correct? Maybe they are. And maybe they’re not. But that leads to a question: would any consumer be glad to the know the product they just bought came at the cost of a human life, either an innocent traveler or the truck driver? Because that’s what this argument is really about – money versus a human life. Industry experts project higher shipping costs. A small part of it has to do with the cost to implement the ELDs, but technology today is so advanced many can be run from an app on a tablet or mobile device. But again, if it will make the roads safer and improve the health and well-being of the truck drivers, is anyone really opposed to this? Elogs will prevent transportation companies from breaking the rules to pump their profit margins at the expense of truck drivers. So, will this increase transportation costs? Perhaps, but the real cost to transportation companies will be their need to reevaluate their efficiency. Which brings us back to the original question: will consumer goods become more expensive? That really depends. If shippers just take the rate increases without questioning them and pass them along to the consumer, then yes. If everyone in the industry from transportation companies to shippers takes a hard look at their costs and margins, maybe it won’t be so much after all. In the end, any cost increases will result from the end of a gigantic transportation that has been growing over the past 80 years. It’s an economic bubble that comes at the expense of truck drivers and their health. And at the expense of human life. If the ELD will save 25 lives a year, that means the lower costs of consumer products we’ve enjoyed have come at the cost of 2,000 lives. I’ll pay a few extra bucks to know that a mother got home to her family or a child returned to school after winter break after visiting Grandma two states over for Christmas. Now, it’s generally accepted that the ELD mandate will make life hard for small independent truckers. The challenges posed can, however, be overcome if we work together. elogs will create some challenges. They will cut down on driver hours (not that we would know from the current paper logs). In a recent survey done by JOC, transportation companies and logistics providers both agree capacity will be the biggest challenges that comes from the ELD. Fewer drivers, at least in the short-term, means there simply won’t be enough trucks on the road, at least not in a business as usual sense. The solution to this isn’t necessarily higher costs and shipping delays. And here is the opportunity. If third-party logistics (3PLs) providers and transportation companies work together, rate increases can be limited, and capacity challenges managed. Of course, this will mean putting human life first (that of innocent travelers and the truck drivers) over the dollar. Margins may not be the same, but profits can still be had. I’d like to say shippers can rely on their transportation companies to take the initiative, but if their response to the ELD mandate is any indication, I wouldn’t count on it. Shippers do have options though. They can challenge rate increases. Shippers can put pressure on transportation companies not to pass the cost of their inefficiencies onto their customers. Or shippers can use 3PLs to keep costs lower. Freight brokers by their very business can create cost effective solutions to help limit the impact of rate increases on consumer goods. Expect upheaval. It could be a lot, it could be a little. But there will be some. 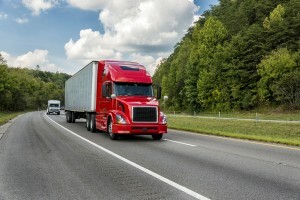 Develop strategies now to save money on freight. My team helps customers every day consolidate their shipping, moving a lot of LTL to truckload as well as improving supply chain efficiencies. Plan alternative shipping options now! You can ask your transportation company if they’re ready. But we don’t know how carriers will be affected when the ELD mandate goes into effect December 18. Troopers will be out and begin to detain drivers and fine transportation companies who violate federal safety standards. On December 18, the ELD will burst a transportation bubble 80 years in the making. Yet it will improve safety on the roads for every driver and for truck drivers too. This is good. If we put people’s well-being first, plan accordingly and work together, this change can be a huge benefit for everyone. Let’s make it happen!